Award: OPEN HOUSE won the Jury's Choice in the Architizer A+ Awards category of 'Architecture +Urban Transformation' - A highly-esteemed jury of over 300 industry leaders including Rem D. Koolhaas, Liz Diller, Paola Antonelli, Yves Béhar, Joseph Altuzarra, David Rockwell, and Ian Schrager selected the Jury Winners. 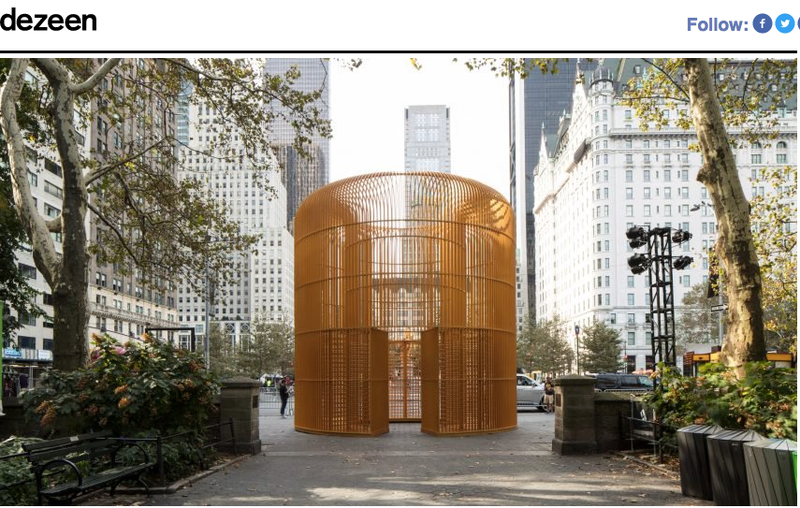 Award: Both Storefront Theater and Cloud house won the Public Art Network’s -- 2016 Year in Review, at the Americans for the Arts Conference, which is the only national program that specifically recognizes public art projects. 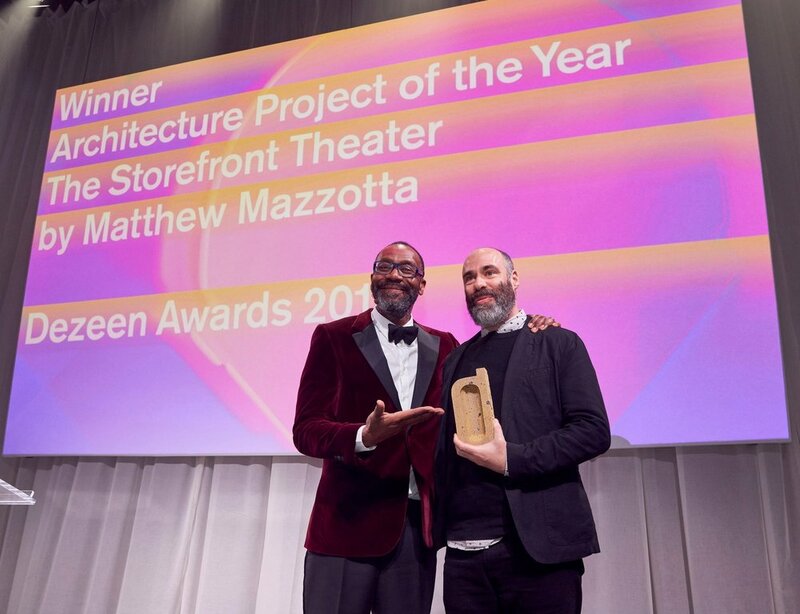 Award: Matthew Mazzotta has been awarded The Chicago Athenaeum-American Architecture Award 2017. Award: Matthew Mazzotta has been awarded Charter Award-The Congress for the New Urbanism 2017. Article: The Architecture of Social Space - Artvoices Magazine Fall 2014. 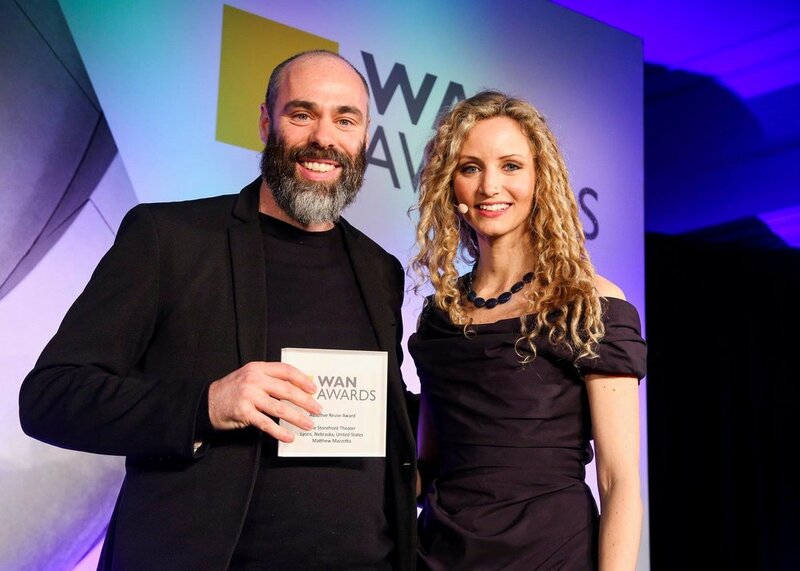 Award: Matthew Mazzotta has been awarded World Architecture Community ­ 20+10+X Award 2017. Radio: Nebraska's PBS and NPR stations Nov 2015. 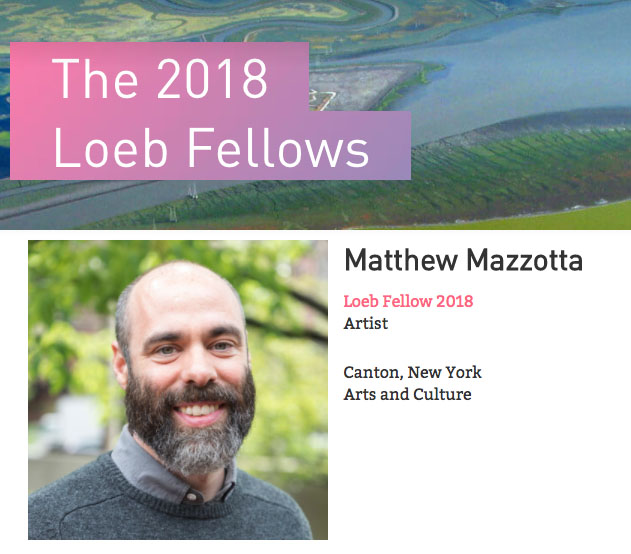 Award: Matthew Mazzotta is the second recipient of the new Chamberlain Award offered by the Headlands Center for the Arts in San Francisco, designed to support an artist working in the discipline of social practice who's work reflects on human lives and contributes to conversations about society. Project: A new project called BYWAY OF ART that will be completed at the end of next summer where we will be leading the creation of 4 community-specific public artworks in 4 rural communities in Nebraksa funded by . Residency: Matthew Mazzotta was Invited to be an artist in residence for 3 months (Nov 2014-Jan 2015) at the CENTRE FOR CONTEMPORARY ART SINGAPORE (CCA). Exhibition: Video and Photos of OPEN HOUSE in a show entitled “Grey matter – materials, architecture and re-use” at the PAVILLON DE L'ARSENAL in Paris opening the 26th of september 2014. 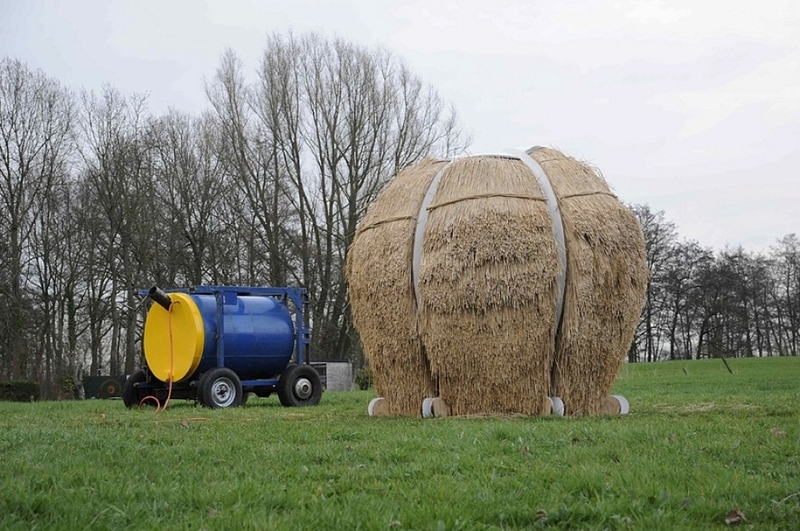 Exhibition: LOOKING FOR A LANDSCAPE is part of the group show REPROGRAMMING THE CITY 1 October 2014 - 4 January 2015 at the DANISH ARCHITECTURE CENTRE in Copenhagen. "Socially Engaged Art Practices and Education in Contemporary Discourse"
Workshop: Matthew Mazzotta will be going to Biella, Italy July 12-14, 2014 to be part of the workshop -- Socially Engaged Art Practices and Education in Contemporary Discourse at Cittadellarte-Fondazione Pistoletto. Award: OPEN HOUSE won the Public Art Network’s -- 2014 Year in Review, at the Americans for the Arts Conference, which is the only national program that specifically recognizes public art projects. Out of 345 projects from public art programs and artists around the world, 37 were selected for recognition of excellence. OPEN HOUSE was one of the 37 and also received the Top Choice (unanimous jury vote)!! Talk: Art Talks Lecture Series: Matthew Mazzotta - June 24, 2014 at Lesley University. Symposyum: April 19th at 5:00 pm --- At the Massachusetts Institute of Technology Matthew Mazzotta will be speaking as part of the two day symposium - Public Space? : Lost and Found. Award: OPEN HOUSE won the 2014 Great Places Award from the Environmental Design Research Association for 'Place Design'. 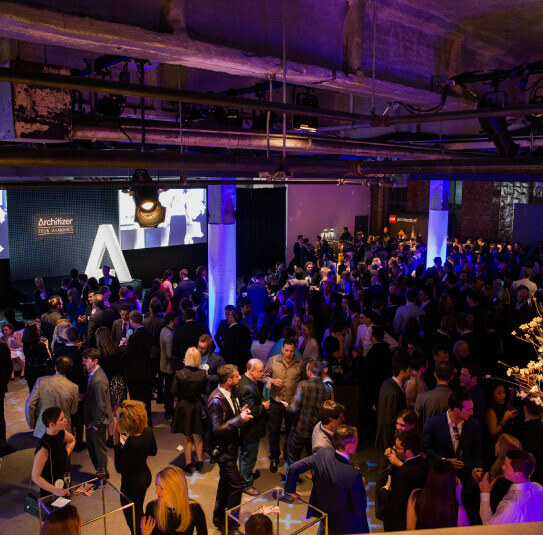 Award: OPEN HOUSE won the BEST OF DESIGN AWARDS by the Architects Newspaper. A book release - "Projects Along the Coast Line: Adriatic Identities"
Book: April 25th and 26th --Matthew is traveling back to Rijeka, Croatia to speak at a book release party for the book - "Projects Along the Coast Line: Adriatic Identities" - This book includes Pier Shear - a public art project in 2012 supported by the international cultural organization Musagetes. Talk: May 18th at 1:00 pm -- Matthew Mazzotta will present a talk called 'The Architecture of Social Space' at Open Engagement 2014 at the newly renovated . 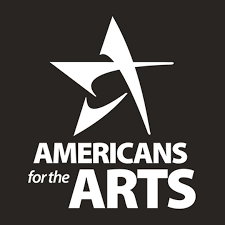 Conference: June 13th and 14th, 2014 -- Matthew Mazzotta will serve on a two panels during the Americans For the Arts conference in Nashville, TN called 'What Are the Best Ways to Use the Arts to Strengthen Rural Identity?' and 'Reconnect: Artists At the Core'. Lecture: Spring 2014 semester Matthew Mazzotta is a Lecturer in Massachusetts Institute of Technology's program . Event: September 7th at 7:30pm - An outdoor screening of the film Men in Black 3 and the short film Andy Warhol eats a hamburger in York, Alabama for OPEN HOUSE'S summer series of free public events programed by the Coleman Center for the Arts. Exhibition: Boston Society of Architects -- June 25 - September 29, 2013 - 'Looking for a Landscape' is being shown in this show at the BSA "...a global overview of ways in which the existing infrastructure of cities around the world is being redesigned, repurposed, and reimagined to serve alternate and expanded functions for urban dwellers and visitors." OPEN HOUSE 'hinges' on your support! 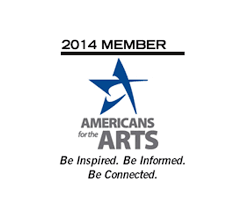 Review: Americans for the Arts: 2011 Public Art Network Year in Review. Cittadellarte-Fondazione Pistoletto June 15 - October 15 2011. Going to Biella, Italy to be part of the Cittadellarte-Fondazione Pistoletto Residence program called UNIDEE – University of Ideas. Project: April - June 2011. In Rijeka, Croatia doing research for a new project called Pier Shear - Bringing sheep to the recently appropriated public pier, so their wool can be transformed into new artworks made as collaborations between local artists and craftsman to reveal the complexity of Rijeka's transitioning future. 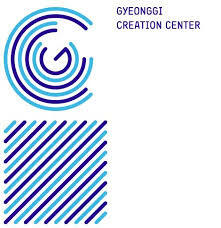 Matthew Mazzotta will take part in a residency at Gyeonggi Creation Center. 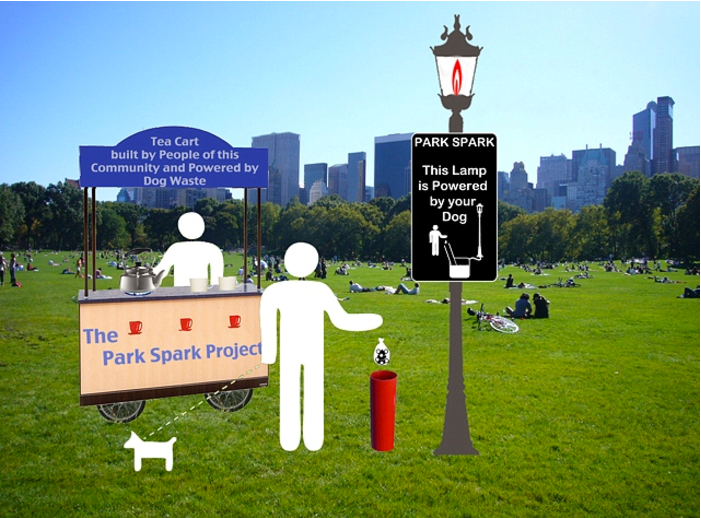 The Park Spark Project is the transformation of dog waste (dog poo) into energy (methane) through a publicly fed methane digester as an interactive urban intervention that questions our current waste system, and at the same time creates an opportunity for others to participate in the (re)imaging of the byproduct energy (methane). Matthew just graduated from MIT's Visual Art Program this June after two years of cranking out a bunch of projects and traveling around the world.